Attendants will be on hand at Payne Park during the following hours. Payne Park is located at 848 Payne Ave,in the center of North Tonawanda. The park includes a playground, swings, pavilion, 2 basketball courts, disc golf course,a Toddler Raindrop Pool,and full-sized historic Memorial Pool. Location of our "Art in the Park" and "Summer Science" week-long workshops. Also home to a Frisbee Disc-Golf course as well as a beautiful playground. Pinewoods is located at 505 Schenck St. at the corner of Schenck and Twin City Memorial Highway. Access to the park can also be made at the corner of Thompson and Niagara St.
Wurlitzer Playground is located at the corner of Lexington Ave. and Deerfield St. Location of NTAA Lacrosse and Northtowns Soccer League, and home to the National Kite Flying Association, this spacious park includes a playground, boating docks and bike trail. Gratwick Park is located on the corner of River Rd and Ward Rd. Location of playground & softball diamond. Playground is located on Stenzil St. between Oliver and Payne Ave. Location of playground, basketball court, and softball diamond. Playground is located at the end of Eddy Drive and Wall St. Location of playground and basketball court. Playground is located corner of Erie Ave and Leah Dr. Location of Playground, Tennis Courts, and Lady Jacks Softball Diamonds. Located on corner of Carruthers Pl and Sommer St.
Playground located at end of Remington and Castlebar Dr. Located on Sweeney St. and Service Dr. Everyday we’ll have a team of staff at Payne Park ready to create awesome crafts and play fun games. From poster contests and ridiculous races to kickball and other sports games, we’ll make your summer experience one that’s loaded with entertainment. Note though our playground is supervised by staff, our programs are open play programs. Kids are welcome to come and go as they please. This is not a summer camp, and it is not our responsibility to make sure your child remains at the park if dropped off. 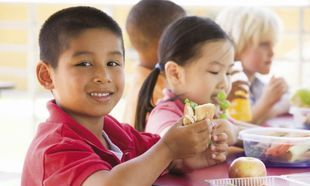 Free lunches are provided daily to youth ages 18 & under. Limited to one per person. Lunches cannot be taken off the premises. First-come-first-serve. Children must be present to receive lunch (parents cannot pick up lunches for their child). Click here to view lunch schedule. The Girls Scouts of WNY will be at Payne Park every week to offer guided S.T.E.M activities, crafts and outdoor fun. Rebecca Hasley @ Rebecca.haseley@gswny.org or call 935-6064. Northpointe Council will be at Payne Park each Wednesday to provide interactive presentations designed to educate youth about ways to stay healthy and make smart choices this summer. Topics include Summer Safety, Healthy Choices, Peer Pressure, etc. Join us at Payne Park as we host a one of a kind interactive game show, where YOU are the star of the show. Audience members will be called out to participate in wacky games, contests and activities for a chance to win prizes. Don't want to be a part of the show? No worries, come out and cheer on the contestants and get some laughs as they attempt incredibly silly events! Join us as we set up a number of carnival style games that are fun for all ages. Play for free, attempt to win tickets by successfully beating each game and turn your tickets in for a variety of prizes big and small! Get ready to get healthy and fit as we transform Payne Park into a field of fitness fun. We'll have interactive games, obstacle course challenges, healthy nutrition stations and more. Complete all the stations and be entered for a chance to win a Fitness Fun Pack! Take the family out for a night of fun at the our park on 700 River Road. We'll have inflatable fun, music, on-stage family contests and a one-of-a-kind Human Powered Snow Cone Machine. That's right- get into the mega hamster wheel and spin yourself a delicious snow cone treat! It's time to get wet, wild and crazy as we celebrate all things water. From water balloon launching, to slip and slide kickball, to an all-out water war extravaganza, you'll come dry and leave soaked! There is nothing greater than superheros, and so we are celebrating this summer with a superhero celebration. Dress up as your favorite superhero and come ready to participate in a variety of fun events to test your superhero skills. From feats of strength, to measures of speed, we'll have fun as we show off our inner superhero with fun and interactive activities. BONUS PRIZE for all who come dressed as a superhero! It's hard to believe the end of summer has come so quickly. Don't panic, we got your back for one last bash at Payne Park. We'll have numerous games, activities and fun, including GIANT PORTABLE ROCK WALL and inflatable fun. Don't miss out on all the fun! ++Family Fun Night located at Raymond Klimek Veterans Park (700 River Rd). It’s the perfect opportunity to grab the kids and end the summer with a great family event. Bring your tent and sleeping bags and join us for a family camp out with a twist. We’ll have guided activities, crafts and even a movie! Let’s not forget to mention camp fire stations and a morning breakfast in the pavilion. Must register to participate. $5 per person. All camp sites must have an adult. This year you can pick your camp site location at time of registration, so don't delay, get in and register today!! Non-residents can register starting July 9. Master Lisa Susko from Jindo Martial Arts will guide your child through a week-long series of martial arts skills to help equip your child to protect themselves against bully attacks, stranger danger situations and increase their overall self-confidence. Everyday different sports are played each hour from 10am-3pm Monday-Friday. All sports are open to ALL ages. Prizes are given at the end of summer for most participation points, tournament winners, MVP’s, etc. Sports schedule changes weekly.